The online version of this article (doi: 10.1186/1471-2458-14-1298) contains supplementary material, which is available to authorized users. Although LD ecology differs in Europe and North America with regards to the importance of different reservoir species of the bacteria and the primary tick vector involved in transmission , the main preventive strategy is the same in both regions and relies primarily on individual-level preventive behaviors . Preventive behaviors such as checking for ticks after visiting affected wooded regions, wearing long trousers or repellent containing DEET, have been shown to be efficient in the prevention of LD [12, 13, 14, 15, 16, 17, 18]. However, beyond their demonstrated efficacy, studies have also shown that people do not apply these measures with the same consistency, even in highly prevalent regions [19, 20, 21, 22, 23, 24, 25, 26, 27, 28, 29]. Predictors of individual-level preventive behaviors have been studied for many health conditions. The Health Belief Model is one widely used theoretical model developed to study health behaviors. In this model, one main determinant of a health behavior is the perception of risk, defined as the subjective assessment of the probability and the consequences of a specified type of hazard . Risk perception is composed of the perceived severity of and the perceived susceptibility to the disease in question . This model has been validated for many diseases and health conditions including LD, for which a higher level of risk perception was associated with an increased adoption of preventive behaviors [19, 28, 29, 32, 33, 34]. As a result, risk perception has become a major point of interest for decision-makers involved in the design and the implementation of preventive communication programs. An extensive literature exists on risk perception, Paul Slovic being a pioneer of the psychometric approach, which recognizes that risk perception is a construct reflecting individual and social level influences [35, 36, 37]. Studies have shown tendencies which seem to persist among different fields of research: the perceived risk in the general public differs from the risk as perceived (or evaluated) by experts ; determinants of risk perception are numerous and multidimensional, and they include characteristics of the hazard in question such as the novelty of the hazard and its potential catastrophic impacts, as well as individual and sociological factors, such as gender, age, education, income, personality, culture and values [35, 39, 40, 41]. 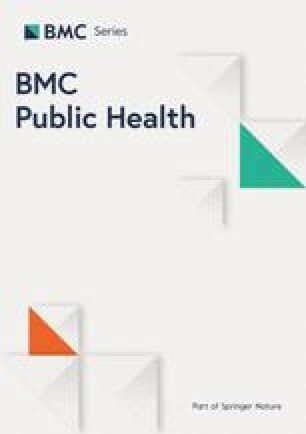 Past studies have described LD risk perception in particular regions or countries [19, 21, 22, 25, 27, 28, 29, 32], but none have explored the differences between the determinants of risk perception in different epidemiological contexts, such as in a population experiencing the emergence of LD versus a population that has been living in a region endemic for LD during a long period of time. Are determinants of LD risk perception universal, or do they vary according to the context, such as the epidemiologic situation? The identification of context-specific determinants of LD risk perception would provide additional insights for decision-makers in the planning of LD risk communication that could be better adapted to emerging or endemic situations. Moreover, it could help decision-makers in emerging contexts to anticipate the changes in their population’s risk perception that may occur once LD becomes endemic. 3Perceived mastery was excluded from the final model because its factor loading on the factor was inferior to 0.5. Risk perception of LD has been studied in the past, mostly as a predictor of individual level preventive behavior along with knowledge and other factors. The vast majority of these studies were undertaken in the United States [19, 21, 23, 27, 28, 29, 32, 33, 45, 59], while more recent studies were done in the Netherlands [24, 25] and in the United Kingdom . To our knowledge, this is the first study to measure risk perception regarding LD and its determinants in Canada and in Switzerland, and to address risk perception of LD in different epidemiological contexts with an international comparative perspective.